The roots of Team Sunweb stretch back to 2005, when the squad was known as Shimano–Memory Corp, before becoming Skil-Shimano, Giant-Shimano and then Giant-Alpecin. With holiday company Sunweb signing up for a three-year sponsorship deal, the team heads into 2017 with a new name, new kit and new aims. 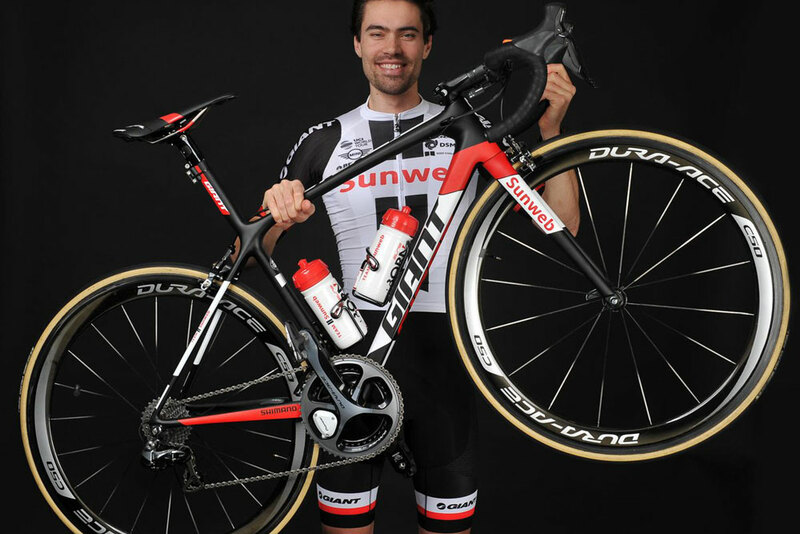 Tom Dumoulin is possibly the squad’s brightest hope. Having made a name for himself in the 2015 Vuelta a España where he finished sixth overall, he subsequently won stages in the 2016 Giro d’Italia and Tour de France. However in 2017 his attempts of becoming the next big GC hope were materialised as he fought off Nairo Quintana, Vincenzo Nibali and Thibaut Pinot to be crowned the Giro d’Italia champ after being 53 seconds on the last day. His prowess in the time trials and he new and improved climbing ability saw him stave off attacks high in the alps and control the race on the flat stages. The loss of John Degenkolb to Trek-Segafredo for 2017 does mean that the squad is weakened somewhat in the Classics – with Degenkolb having provided the team with two of its biggest wins with victory in both the 2015 Paris-Roubaix and Milan-San Remo. The German hadn’t been the same after his training ride accident in 2016. Since the beginning of the year, Sunweb have employed Michael Matthews who they hope can lead them to success in the green jersey competition at this year’s Tour de France. The Australian has enjoyed some success this year with stage wins at the Tour de Suisse and Vuleta al Pais Vasco, plus top tens at Liege-Bastogne-Liege and Amstel Gold Race. Frenchman Warren Barguil is the team’s other big hitter in the more prestigious stage races, having finished eighth in the 2014 Giro and 14th in the 2015 Tour. It’s the Sunweb way or the highway - what’s happening at Team Sunweb? Team Sunweb have announced their line-up for the 2018 Tour de France, with Tom Dumoulin spear-heading the eight-man squad. Tom Dumoulin will target the general classification at the Tour de France, weeks after finishing in second place behind Chris Froome at the Giro d'Italia. Team Sunweb will continue indefinitely as part of a new deal with the Sunweb holiday company that should allow the German team to focus more on long-term development. Team Sunweb have revealed the seven riders who will line up alongside Tom Dumoulin as he tries to successfully defend his pink jersey at the Giro d'Italia.